YOU MIGHT BE NEXT TO WIN A TRIP TO USA! 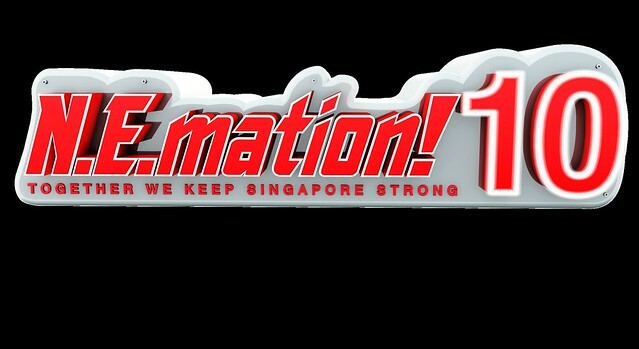 N.E.mation! is back for the 10th season. "At the start of the next 50 years, it is a good time to reflect on and reaffirm the strength, values and beliefs that have brought Singapore this far and, more importantly, the values that reside within each and every Singaporean to take Singapore forward. Together, we will continue to play our part to keep Singapore strong." Last season's champion team went to USA where they visited renowned animation studios, landmarks and famous attractions. Take a look at their fun adventures! Wish that were your friends and you? Registration is now open and 3 simple steps are all it takes to kick start your journey that may win you and your team a trip to USA. Isn't it a dream come true for most students??? 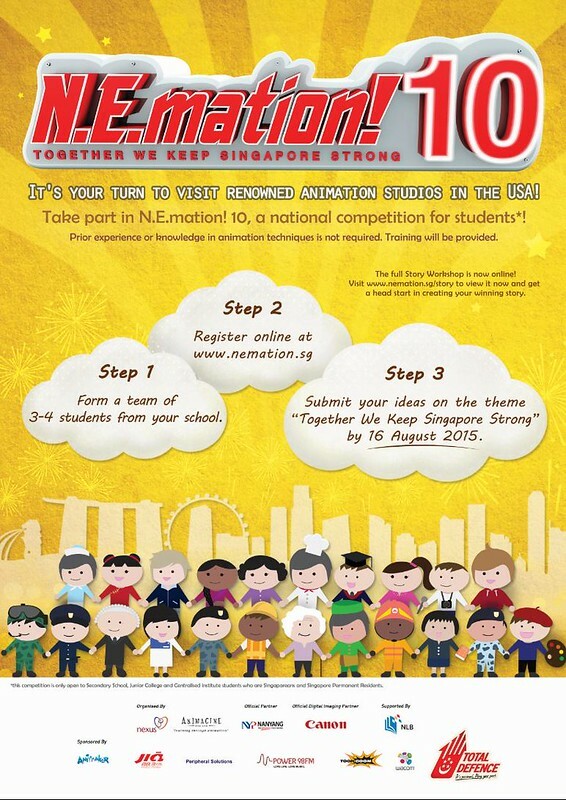 Step 3: Submit your story ideas on the theme "Together We Keep Singapore Strong" by 16th August 2015. No worries if you do not have any experience in animations. The good part is that you don't have to have any experience to take part in NE Mation. heh, ultimately we have to start somewhere right, so long you have a passion for it, just participate! What's best? You will be given proper training and guidance, and in no time, you could find yourself discovering a new talent. For now, if you really are keen yet don't know how and where to start, you can visit the free online Story Workshop (click on the link! 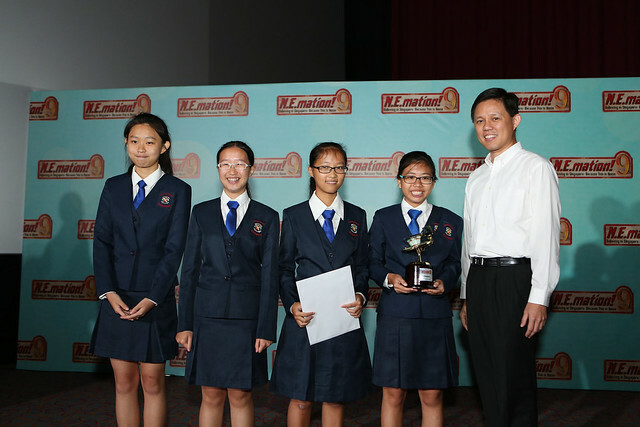 ), where resources are kindly prepared by the organisers to get your creative juices flowing to craft the winning story! Try it! Get started today, and who knows? You and your team might be the next champions to visit the USA! For more information, do hop over to the official site!